For more than 16 years, Mr. White has been offering clients advice on global, US, and European life sciences market access and reimbursement challenges. Nathan began his career at Express Scripts, working in leadership, field-based, and internal operational roles in the specialty pharmacy and reimbursement support program divisions. 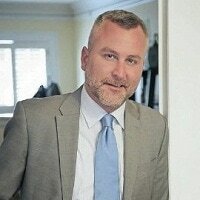 He spent more than five years designing and implementing market access operational solutions at PAREXEL Consulting and inVentiv Health, before shifting into global market access consulting roles as Director of Market Access at Nucleus Global and Managing Director and Head of Market Access at eMAX Health Systems. In 2016, he joined ApotheCom to lead the Access Pathways and Outcomes practice. Nathan has a BS in Community Health from State University of New York and is a Certified Professional Coder (CPC) in medical billing/coding.